Aggies Do It Better: Thanksgiving 2016: Thanksgiving Disney nails! Hey guys! 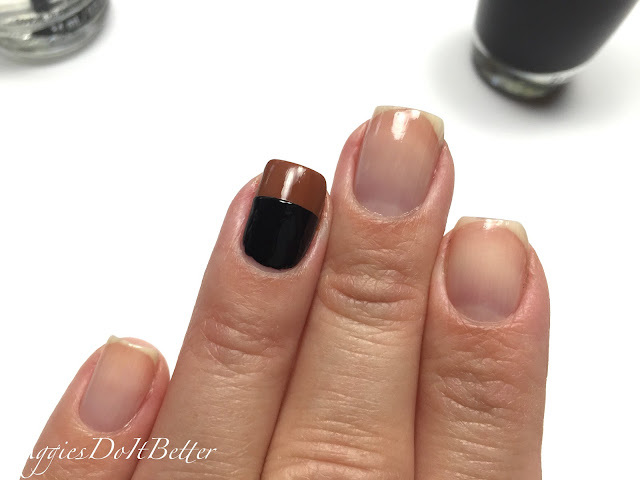 Today I decided to do a little throwback to one of my most popular mani's. No, definitely my most popular and most reposted/pinned I've ever done! 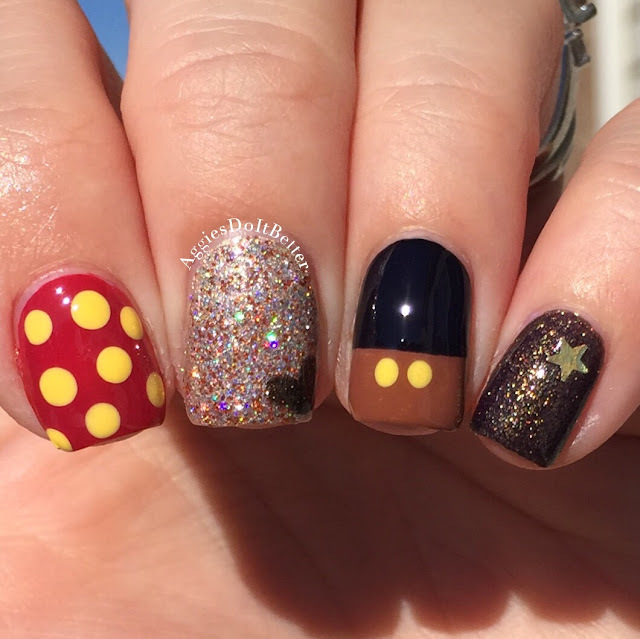 Almost 3 years ago I did some Disney-themed nails with out character's actual faces, which I prefer so far because I have zero drawing skills! I had no idea it would take off like it did. They were actually the first mani I did to kick off the relaunch of my blog!! 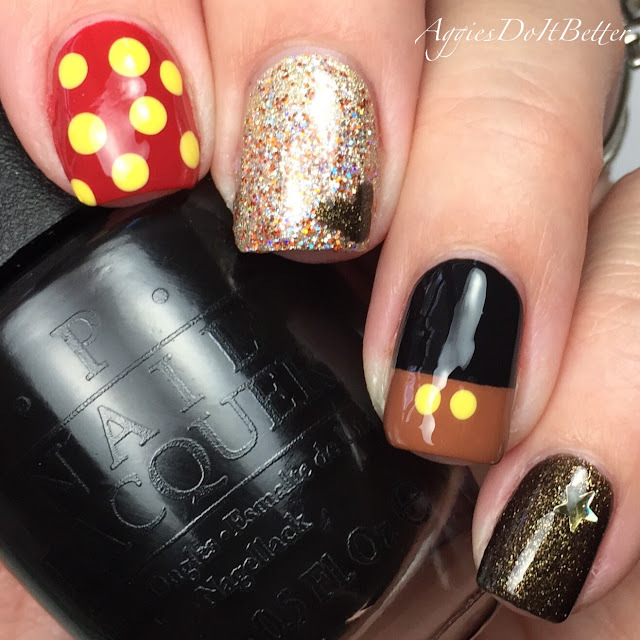 You can see that post HERE :) I thought about how I could take the same design and make it Thanksgiving themed! I wish I would have thought to do that with Halloween! I'm going to try to do it for each major holiday now. It is fun! 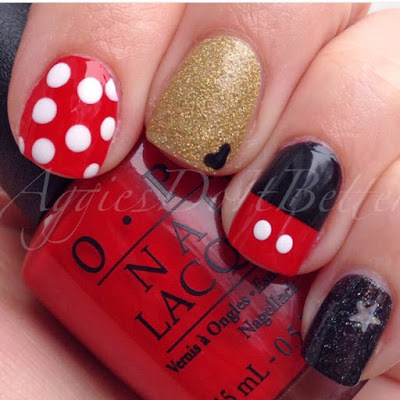 This would be a great look to rock if you will be at the Parks or on a Cruise for Thanksgiving! I wish we were!!!! Here are my original nails! So much has changed since then! 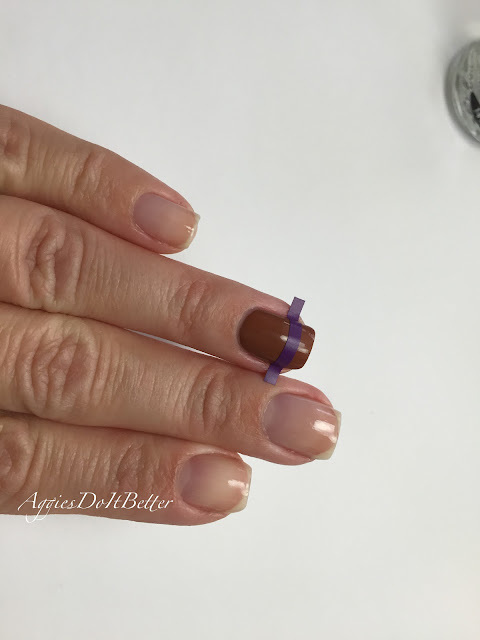 The method could not be more simple: I started with a brown polish on my ring finger (all polishes are listed below). 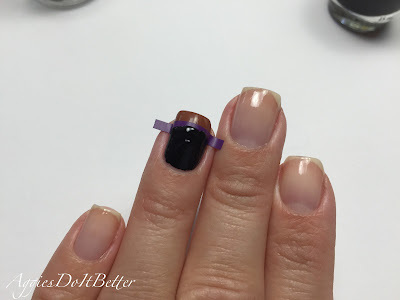 I applied a quick dry topcoat (I used Seche Vite) and wait 45 minutes. Some people can tape after 10 minutes but I have to wait longer. After its thoroughly dry, add a straight nail vinyl (or scotch or painters tape, whatever you have) a little more than halfway down the nail. Paint the top half with black polish and remove the vinyl/tape immediately. 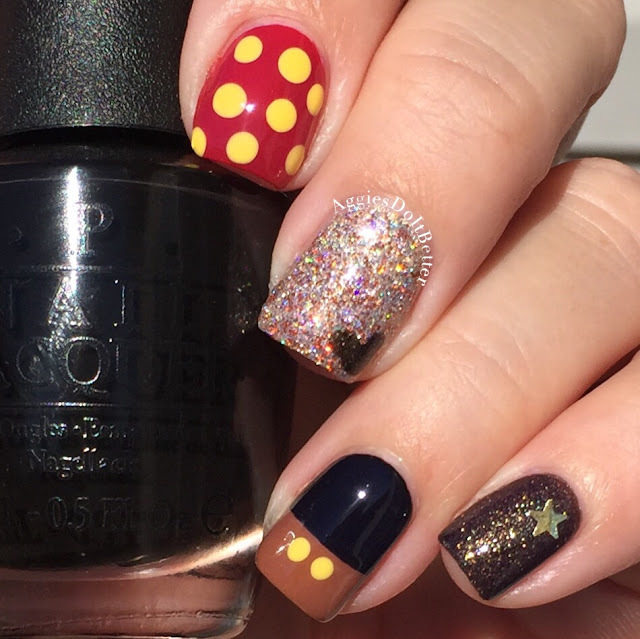 The rest is pretty simple, just polka dots! 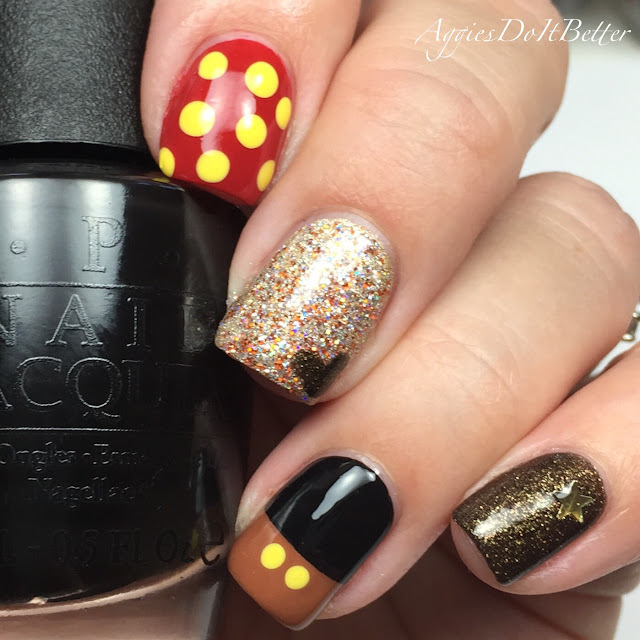 I have such a hard time making asymmetrical dots! So crippling! What do yall think! I'm already working on Christmas designs, it will be a lot easier than coming up with these I think! !